In this tutorial we will be using a Python script to calculate the first million digits of PI using the ACCRE cluster. Although we will be using Python code, you don’t need to know Python for this tutorial. 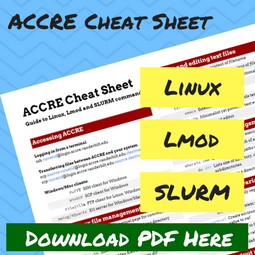 However, you will need an ACCRE account and should be familiar with Linux commands. 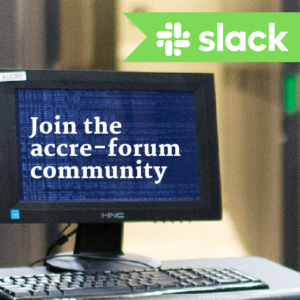 If you haven’t done so already, log in to ACCRE using a terminal. Lmod is a tool for sharing modules within a high-performance computing environment (e.g. 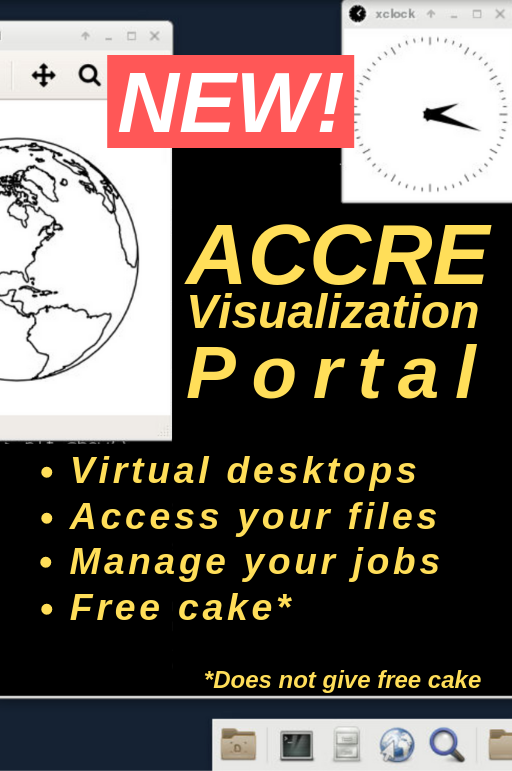 the ACCRE cluster). We will be loading the Anaconda3 module, which allows us to use many Python libraries that would otherwise be unavailable. Lmod commands are case sensitive; make sure you capitalize the A in Anaconda3. There are many text editors available for Linux. For new users we recommend nano, which is simple and easy to use. Other text editors available are vim, which is more powerful but has a steeper learning curve, and emacs, which is extensible and customizable. We will use nano for this tutorial, but much documentation on vim and emacs is available online. To start creating the file below with nano, type in “nano pi.py”. To close nano, press Control-X or Command-X. You will then be asked if you want to save the file or discard changes. This is a Python script that calculates the value of pi using the mpmath library, which is included in the Anaconda module. Before we can submit the Python script to the scheduler, we will need to write the SLURM script. This instructs the scheduler how to run the Python script and what to do with the results. Create a file called pi.slurm that includes the following. Replace your.email.here@vanderbilt.edu with your email. This large number is the job ID. In your email, you should receive an alert from SLURM letting you know that the job has started. In addition, the squeue command above will return nothing. Try changing the memory needed. Does it affect the run time? There are many algorithms for calculating pi that don’t depend on the mpmath library. For instance, this article discusses how to use the Chudnovsky algorithm to calculate pi.